Fortress Planning Group helps families and individuals design and implement comprehensive wealth management plans, which serve as the blueprint for your family fortress. As an independent, fee-only, registered investment advisory firm, we are dedicated to coaching clients toward a holistic view of wealth and family stewardship. At Fortress Planning, we serve successful family stewards. A family steward is anyone who watches over their family, makes sacrifices for their family, protects their family, or works for their family. Husbands, wives, partners, parents, grandparents, children and siblings; anyone who feels family is the most important thing: that is a family steward. We made the decision to work with successful family stewards because we too are family stewards. We know the unique wealth challenges family stewards face. Our work with families and individuals is about so much more than investing. It is about creating a customized plan for where you are now and where you want to go. It is a blueprint for your family fortress, for exceptional security and financial freedom for your family. Being a family steward is a difficult task. It is distracting, stressful, and sometimes frightening. Let us take one thing off your plate: stop feeling guilty that you do not have all the answers! Your job is to keep taking care of your family. Our job is to help you create a plan. At Fortress Planning Group, we develop comprehensive wealth management plans that provide you with guidance on financial decisions for you and your family. We will work with you to understand and help determine your comfort level with investment risk. We will then create and implement your investment strategy to make sure your investment portfolio is diversified correctly to match your risk tolerance and meet your investment objectives. We will also assist you with account rollovers from existing investment accounts such as 401K’s, IRA’s, etc. When an inheritance is received, we will help you invest it properly in accordance with your plan. Our goal is to help educate you so that you understand why and how we are investing your money. Retirement Planning is more than just saving money. It is about starting with ideas of how you envision living your life during retirement and then turning those ideas into goals that can be properly planned for. It involves carefully selecting the right investment options as well as the best strategy for Social Security benefits, Medicare plans and pension payment options. We will look at all pieces to see if you are on track and make recommendations as appropriate. Your retirement plan will be updated and maintained during your working years so that you can enjoy the lifestyle you have earned during retirement. Paying income taxes is something you will have to do every year and you do not want to make the expensive mistake of overpaying them. We will evaluate the tax implications of various investment options and make recommendations that best suit your plan. We will also look for opportunities such as Roth IRA conversions and tax loss harvesting. Having the right insurance is critically important to your financial security. We will evaluate your risks, review your current insurance policies, make sure you understand what you have and make recommendations for coverage that better meet your individual needs. Please note, we do not sell insurance, we only provide recommendations. Estate Planning is so much more than simply having a will. It may involve naming a guardian for minor children, addressing medical directives, minimizing estate taxes and determining when a trust is appropriate. We will discuss what you need and want in a will/trust and then prepare you to meet with an attorney. If you already have an estate plan, we will review the documents to ensure you understand them and that they meet your needs. As life events are certain to happen, we will review your beneficiaries yearly for your estate. Determining in advance how you will spend your money ensures you are making regular progress toward financial peace and helps ensure your spending is within your means. We will help you figure out where your money is going and develop a spending plan accordingly. Having a spending plan will enable you to anticipate and meet funding needs in areas such as your children’s education, retirement, charitable giving and other long-term goals. If you have children or grandchildren, determining the best approach to save for education can be complex and often confusing. We will help you explore and analyze the various options available such as 529 Plans, ESA’s, UGMA/UTMA, etc. We will then work with you to incorporate education funding into your comprehensive plan. We will help you evaluate your employee benefit plans (401K, 403B, 457, etc.) to ensure that you are maximizing the benefits. We will ensure that these benefits are accounted for with respect to your comprehensive plan. We will also help provide strategies for exercising stock options, restricted stock units and maximizing tax benefits of flexible spending accounts. At Fortress Planning, we take a step-by-step approach to wealth management. We know it can feel daunting when you get started, so we have broken it down into a few simple steps. The first step on your road towards financial independence is a discovery meeting where we get to know each other by listening and asking questions in order to understand what is most important to you. We will ask questions related to your interests, your goals, your concerns and your current financial position. While every discovery meeting is different, the goal of this meeting is for us to cover some general information in order to help us get to know you, and in turn, for you to get to know us so that we can mutually determine if we are a good fit for each other. Upon receiving current investment account information from you (for example: 401K and/or IRA statements), we will prepare an investment plan (or second opinion plan) that we will walk you through to make sure you understand your current investment scenario and how it compares to our proposed investment plan. Our proposed investment plan will be built to include the right mix of investments based on your risk number, which will also be determined during this meeting. This plan forms the foundation for all of our work together. The goal of this meeting is for you to develop an understanding of the value that Fortress Planning Group can provide. After you have had a chance to review the investment plan, we will meet to discuss any questions you may have. If we both mutually agree that there is great value in starting a relationship, we will sign the required documents for you to become a client of Fortress Planning Group. Additional paperwork will then be completed to transfer the management of your investments over to Fortress Planning Group. Once we start to manage your investments, we are paid a management fee from the accounts that are created at TD Ameritrade and managed by us. For more information about our management fee, please review our FAQ's page. The goal of this meeting is to sign the investment management agreement and begin a relationship that will allow us to help you be a family steward in order to help your family achieve financial freedom. The investment plan serves as our framework, but it is only the beginning. In our quarterly meetings, our goal is to tackle all of the wealth issues family stewards face, one by one. This may include insurance needs, tax planning, estate planning, reviewing employer benefits, etc. We will also review investment results from the previous quarter and discuss any changes in your lives that may have happened or are planned in the near future. At the first quarterly meeting, we will begin to develop your roadmap to financial freedom. Our meetings can happen in person at our office, over the phone or by virtual meetings. You let us know what is most convenient for you and we will do our best to accommodate your request. Scott Wellens, CFP® is an investment advisor and founder of Fortress Planning Group. After earning his Bachelor of Science degree from the University of Wisconsin-Oshkosh, Scott quickly ascended to become a Vice President of North American Sales at a major regional provider of telecommunications infrastructure. 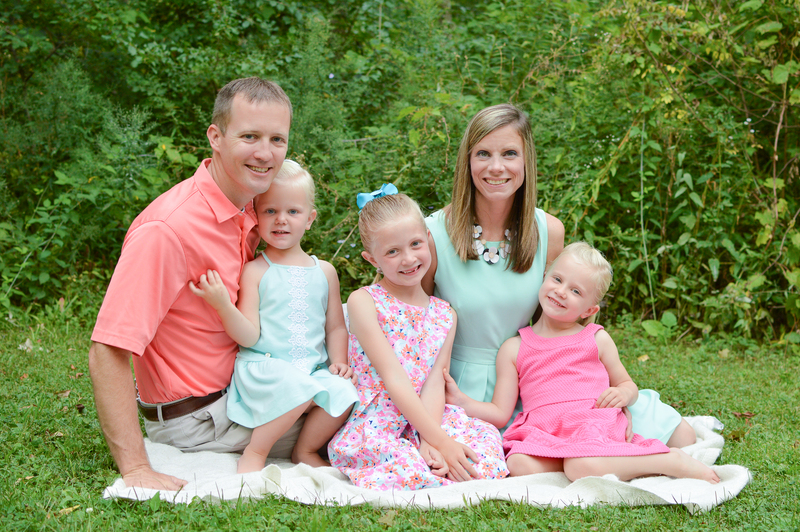 While financially successful in this role, Scott searched for ways to pursue his passion related to financial literacy and providing financial freedom for both his own family and others. During his search, Scott became curious about the significant gap he found in the financial services sector: he was unable to find a comprehensive financial planner that maintained a family stewardship lens without being attached to financial products. Scott decided to fill that gap by creating his own planning firm that maintains a strong passion for comprehensive, unbiased wealth planning that is genuinely client-centered. 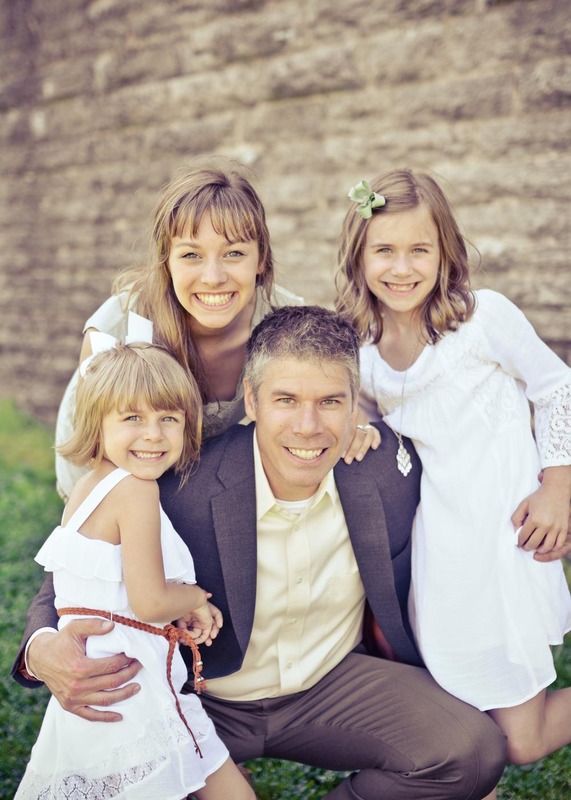 Scott resides in Menomonee Falls with his family. He is the father of three active and independent daughters who keep him on his toes. Scott is an active community member, serving on the Hamilton Education Foundation Board and leading the All Pro Dad’s group at their local elementary school. Scott enjoys spending his free time visiting state parks with his family, reading, and watching the Milwaukee Bucks and the Green Bay Packers win ball games. Scott's mission is simple: to help other family stewards build and maintain their family fortress. Kevin Sandieson is an investment advisor and partner at Fortress Planning Group. Kevin graduated from Penn State University with a degree in Plastics Engineering and began his career developing toys for children. With a background in engineering, thoroughness and planning is in his bloodstream and has been a key to both his professional and personal success. Managing his own investments since he graduated from college, Kevin always desired a career where he could directly help others and have a meaningful impact on their lives. 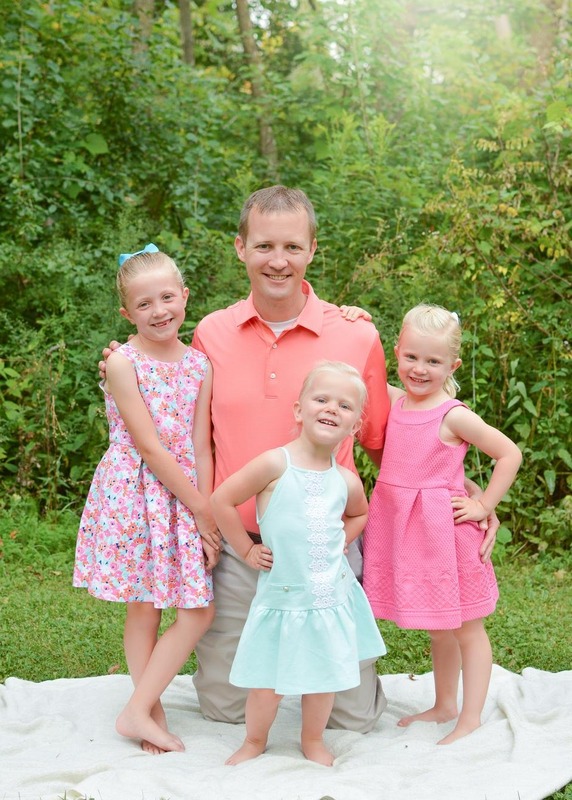 After a seventeen-year career as an engineer and project manager, along with receiving a Master of Business Administration degree from Kent State University, Kevin combined his engineering and project management skill sets with his passion for financial planning and joined Fortress Planning Group. Kevin places a high value on reason and organization—as well as honesty and trust—and is committed to providing that same level of detail in every financial plan he creates on behalf of his clients. Kevin resides in Menomonee Falls with his family. He is a family steward who loves spending time with family and friends. 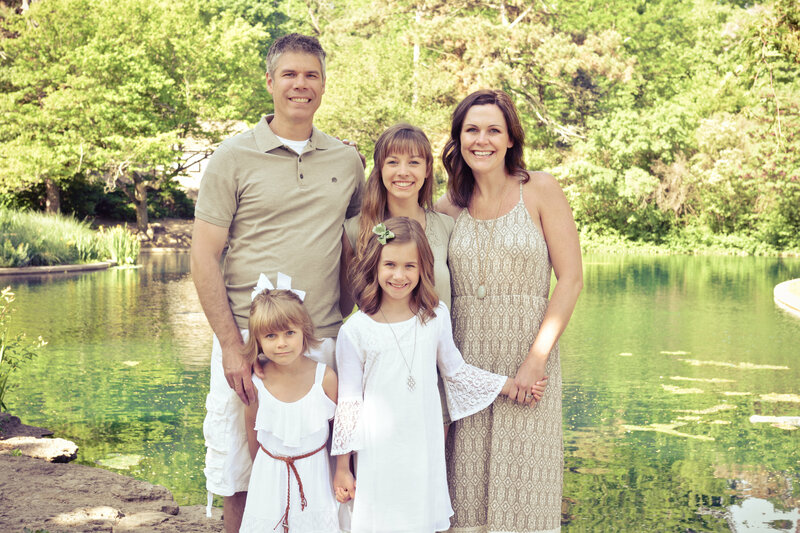 Kevin and his wife, along with their three daughters love to travel, play sports, experience new things and be active in their church. Kevin also enjoys volunteering as the president of his neighborhood home owner’s association (HOA). Choosing a Financial Advisor is an important decision. The person and the team you decide to hire to manage your finances and help you achieve your goals should be someone you trust and enjoy working with. Getting to know our clients is inherent in the financial planning process, but it is more than that to us, it is the reason we love what we do. Working with us means you will receive the close, personal and professional attention that you deserve. We work in a collaborative environment with our clients, encouraging them to ask questions, learn as they go, and grow with us in every phase of the financial planning process. Discussing money and financial situations can be a very intimate topic, so it is important to build a great connection with your advisor. When it comes to investing, we deal in facts, not opinions. Our investment philosophy is based on the 50+ years of research that guides the science of investing in the stock market. We are investors, not speculators, and we build portfolios based on the science of the stock market. As a fiduciary, we hold a relationship of trust with our clients and are legally obligated to put our clients' interests ahead of our own. Choosing an advisor who is a fiduciary gives you greater peace of mind because you’ll know that the person managing your money must make decisions in your best interest, versus financial advisors who may be incentivized to sell a particular companies products. We succeed by providing excellent client service and expert advice to families and individuals. Referrals are the best complement we can receive and are a sign of trust in our client/advisor relationship. We are proud of the fact that many of our clients were referred to us by our existing clients. It can be daunting to think about getting started with a financial advisor. At Fortress Planning Group, we are committed to providing the highest level of care and interaction with our clients. One area we believe helps improve the client experience is utilizing financial planning software that focuses on the client experience. We have evaluated numerous software applications and have purchased the programs we believe enable us to provide the highest level of service to our clients. The very way we define “wealth” is often different from others. To see wealth as something that only happens on a page is very one-dimensional. We think more broadly than that, because wealth management has many dimensions. We take a holistic approach, and offer comprehensive wealth management, not just investment management. This ensures that we help you address your family’s most important financial issues. We are an independent firm which means we are not aligned with a particular bank, insurance or investment company and therefore we are free from potential conflicts of interest or biased advice that can sometimes arise from commission-based structures. We are free to choose investments and resources that best meet your personal financial objectives. Our fee-only planning model means that we are compensated exclusively by the fees paid by our clients. We receive no commissions or compensation from any other third parties. See our FAQ’s page or send us a message through our Contact page.